I admit it. I have a weakness for high quality ties. I detest seeing an otherwise well-dressed man wearing a cheap tie. Blech! It doesn't matter if he is wearing a $1,000 suit or Ferragamo shoes, if he has a cheap, thin tie, the entire ensemble looks bad! One of my favorite ties is from Hermès of Paris. These are elegant. Made of the finest silk and hand-stitched, they make almost any suit look fabulous! Unfortunately, these are also prone to counterfeiting. When you are getting ready to spend $150 - $200 on a tie that should last you years, the last thing you want to do is inadvertently purchase a fake. This article will describe how to spot a fake Hermès tie. See how the interior lining matches the background color? That is a good indication of an authentic Hermes tie. Many of the counterfeit ones have black lining. 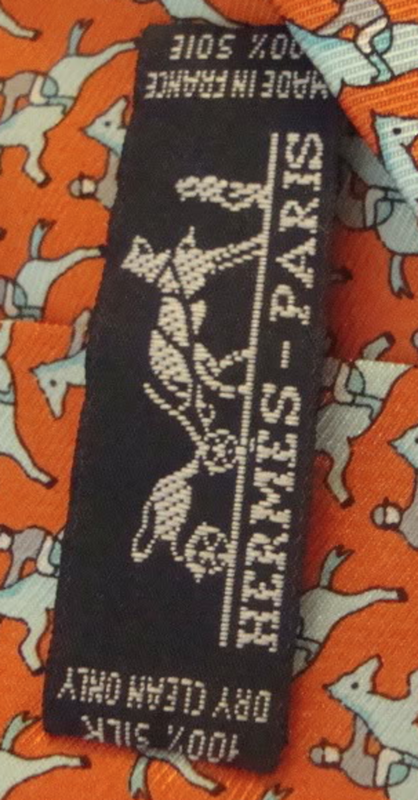 The interior lining of a real Hermès tie will be the same color as the background of the pattern on the front. 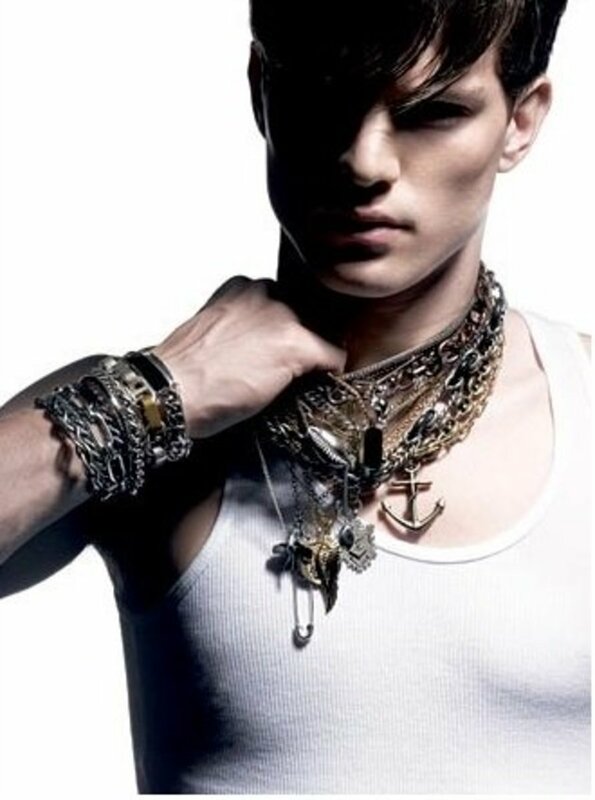 Fake brand ties are often found with black lining, regardless of the color or pattern. There are occasions when the interior lining will have the letter "H" embroidered, but that is rare. 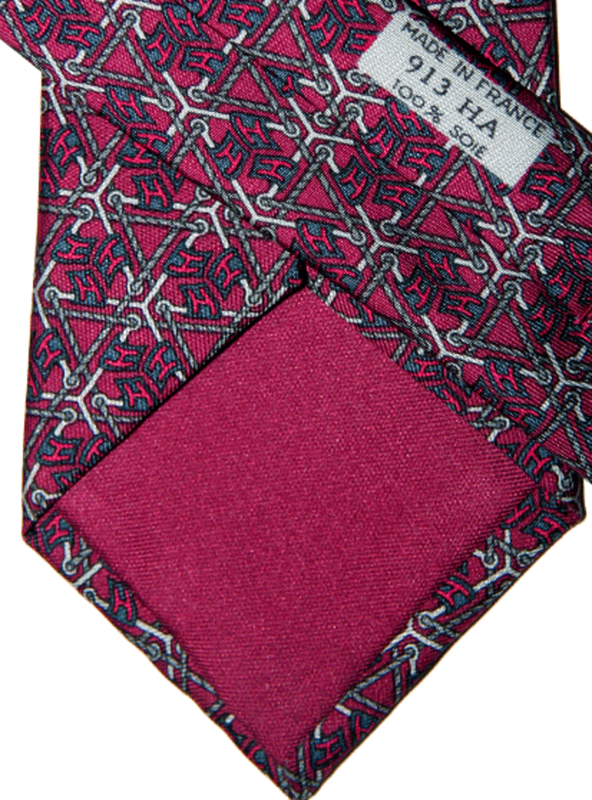 Silk twill ties will ALWAYS have the twill oriented in the direction of 11 o'clock to 5 o'clock. Many knock-offs won't pay attention to the direction of the twill. Look at the twill direction. It is not running 11 to 5. It is more East-to-West than a genuine Hermes tie. This twill is running 9 to 3 - another fake. 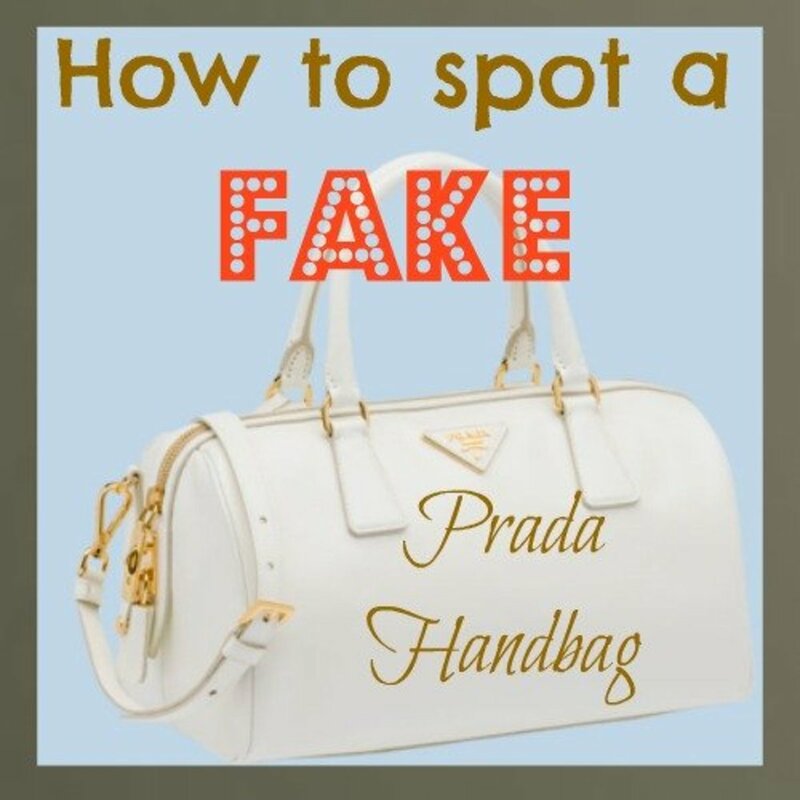 Do you think that selling counterfeit products is big business? You bet! 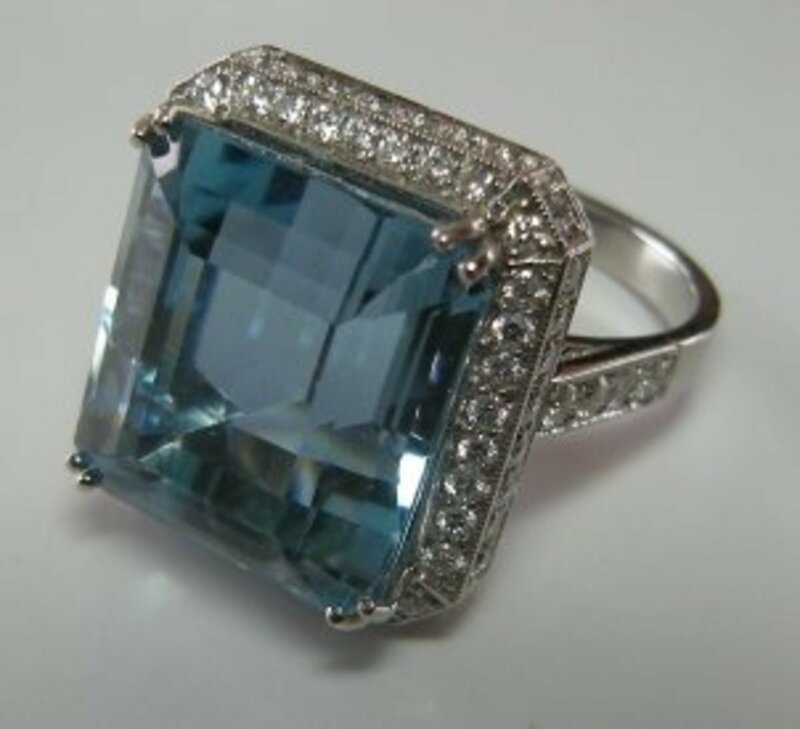 According to Bloomberg, online sales of fake luxury goods is a whopping $30B per year industry. Amazing! This really isn't a sure-fire way to positively identify a fake, but it can help. 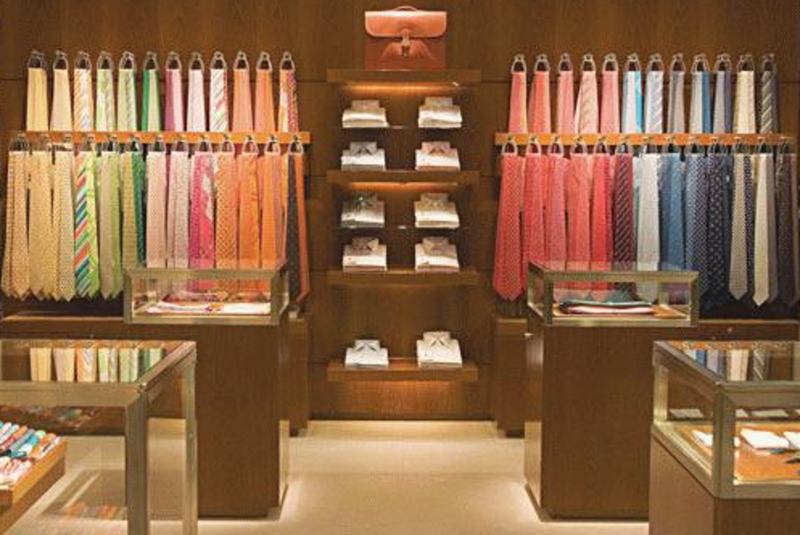 Hermes ties from different eras were manufactured at different widths. pre-1980s could be as wide a 4.0". Currently, they are produced at 3.58" wide. 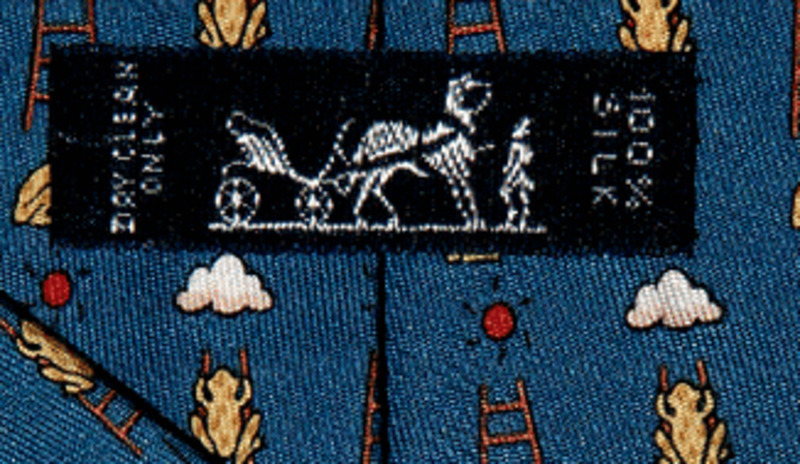 The back of a real Hermes tie has a definitive fold in the silk. Fakes will usually save time by simply butting the two sides together and sewing. Watch the video below of a tie being made and you will see the fold that is created when joining the two sides together. 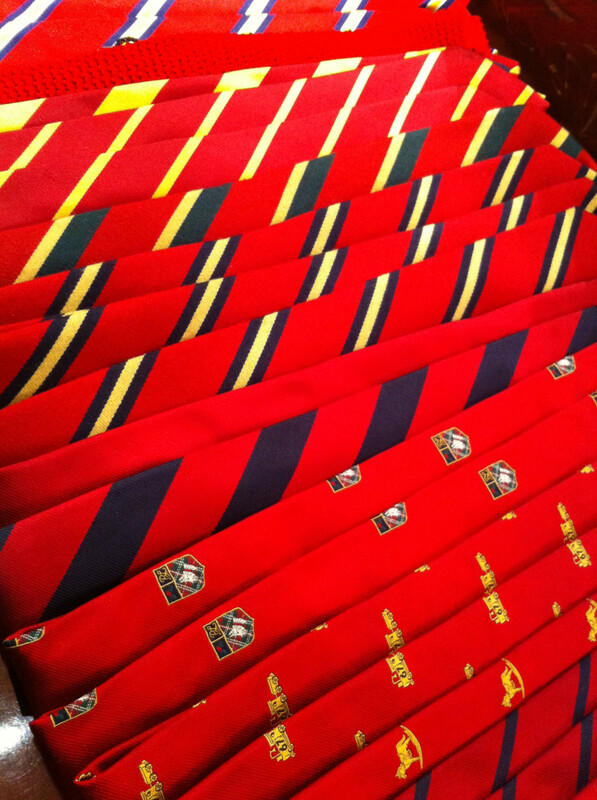 Hermes ties are hand sewn. 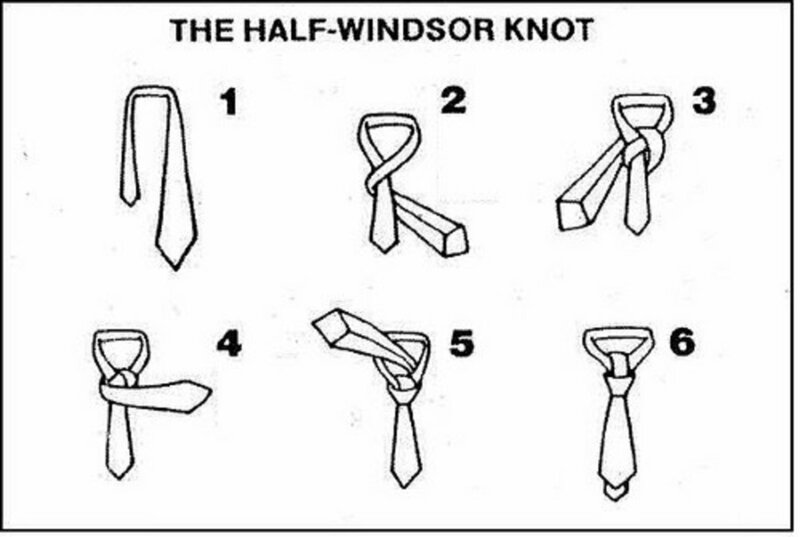 Gently lift up the fold on both ends of the tie and you will see a single threaded loop. That is the thread that can be cinched up if the tie ever happens to come loose. Counterfeit ties will almost never have this. Watch the talented woman in the video prepare and stitch an authentic tie. At minute 4:30, you will see the beginning of the hand-stitching process. Uh Oh! A figural tie with the words "Hermes Paris" written on it. The tie stay will always have a horse and carriage. The figural ties will NEVER have the words "Hermes Paris" on them. This one is genuine. There are two identifiers on the back of the tie. The first is a label that will always show a horseman and carriage. 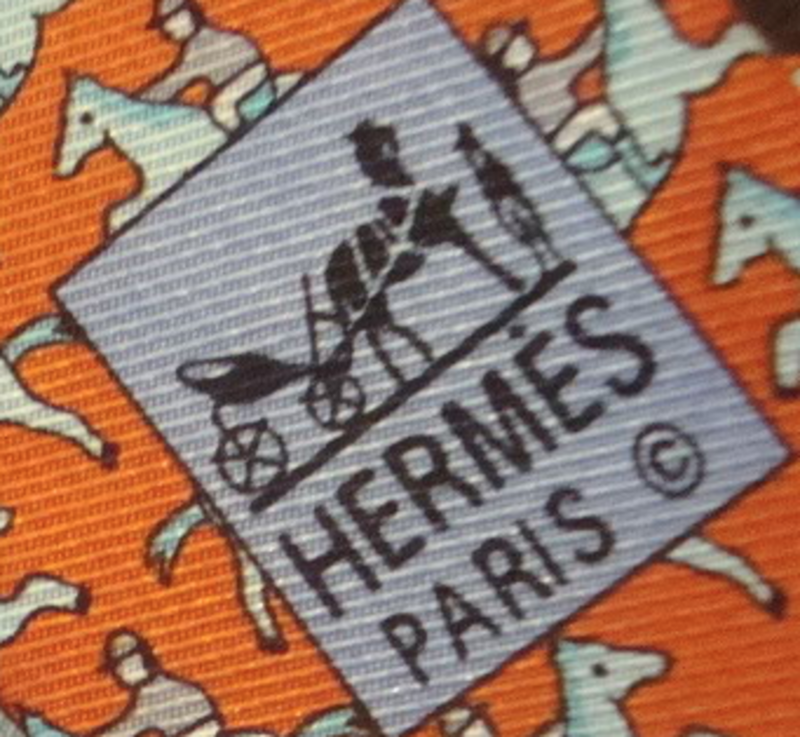 The second is a Hermes Logo that is woven into the tie. Many imitations will have a patch sewn on in its place. Be careful! 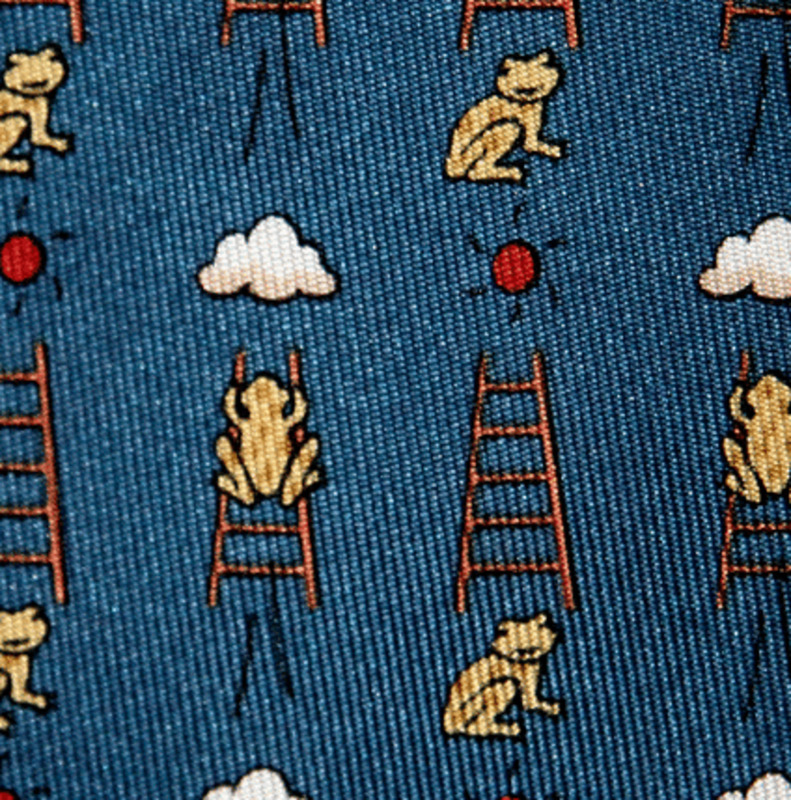 On a lighter twill patterned or figural tie, you won't see "Hermes-Paris" under the horse and carriage; however, you will see them on Heavy Silk Lourde and Figural "H" ties. Unless you can easily spot the differences between the two, be careful in using this as the sole identifying characteristic. Hermes has a remarkable orange tie box. Many of the counterfeiters will try to match the dye lot, but they never really seem to do a good job. Remember, they want to make the tie as cheaply as possible, and are willing to produce a product that can best be described as "good enough." 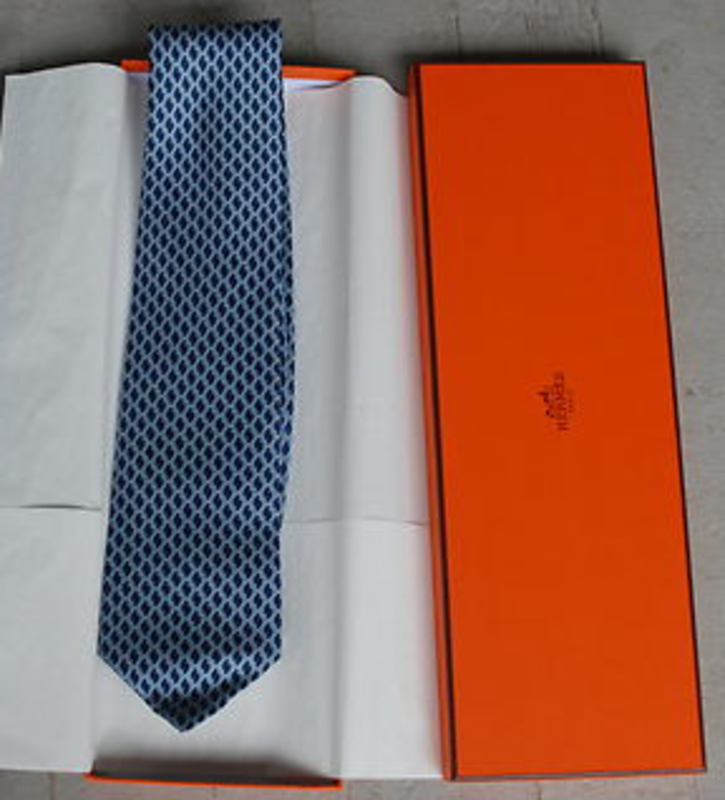 Inside the box, a real Hermes tie will be wrapped in a plain off-white tissue paper. For some reason, many of the fake ties from Asia will have the tissue paper as a different color or even patterned with the letter "H". Anything but the plain and elegant off-white paper is almost definitely a fake. Real Hermes tie boxes are a distinctive bright orange. Fakes will be off-color and may not have the same font on the printing. This one is legit! "Nearly the Same" - if the price didn't provide a good clue, the description should! A quick Google search will unfortunately yield too many results for these impostors. Be wary of "discount," "imitation," "replica," "faux," "knock off" or "cheap" adjectives. One of the counterfeit manufacturers will certainly come up. Some of the more common fake sellers are located in the far east. This isn't a conclusive test, but if you see abnormally low cost ties that are purported to be authentic from Asia, you should do more research before you purchase. Can you believe this? 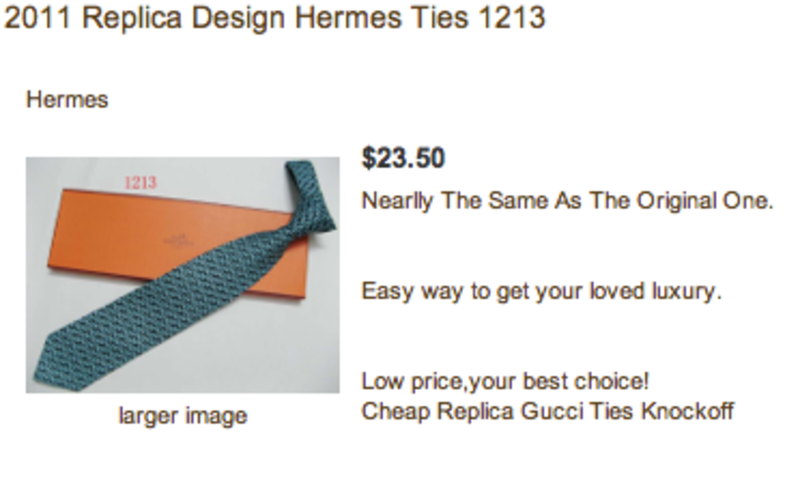 A Hermes tie being marketed for $15 under the "cheap replica" moniker. The spelling error in the title of the product is also a good give-away! You will never find the genuine product in a plastic bag. They are sold in elegant orange boxes with off-white lining paper. would also like info on identifying authentic Hermes bow ties. Very detailed information - it definitely can be challenging to tell the difference between some branded products and their imitations, but these are fairly straightforward differentiators. Any info on spotting a fake Hermes bow tie? 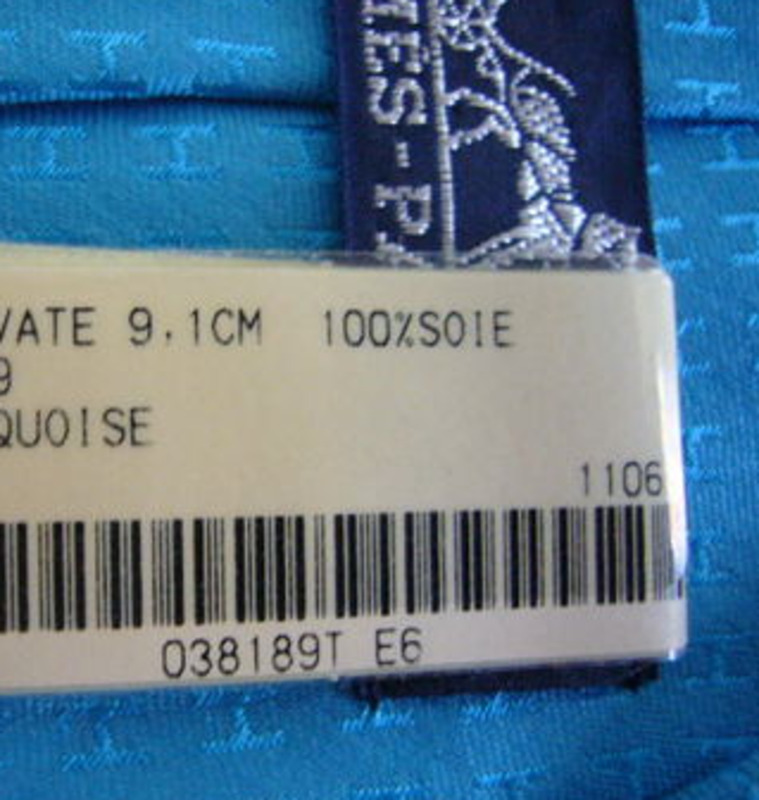 Fantastic information on identifying a fake from a real Hermes tie. The video of the "fold" was very interesting. Great hub!